At the end of 2013 we reported that the influential journal Science had chosen cancer immunotherapy as their breakthrough for the year. 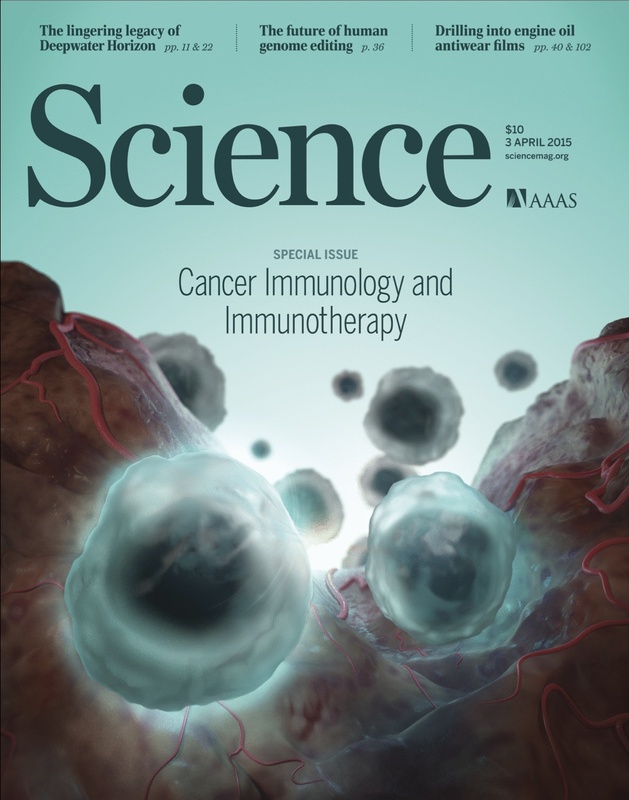 Today’s edition of Science features five review articles that demonstrate how cancer immunotherapy is now realizing its potential. The underlying basis for this treatment modality is to activate a patient’s own T cells – specialized white blood cells – to do battle with and ultimately vanquish a malignant tumour. Steven Rosenberg and Nicholas Restifo of the National Cancer Institute in Bethesda, Maryland summarized the latest findings of adoptive cell transfer (ACT) which is a highly personalized therapy that requires the administration to the cancer-bearing host of immune cells. ACT has already led to complete regression on patients with melanoma and clinicians are now planning to broaden the application of ACT to treat common epithelial cancers. “The nature of the antigens that allow the immune system to distinguish cancer cells from non-cancer cells has long remained obscure” commented Ton Schumacher and Robert Schreiber. They reviewed recent technological innovations that have enabled dissection of the immune response to patient specific neo-antigens, thus providing a key biomarker for cancer immunotherapy. Recognizing that successful immunotherapy relies on cytotoxic T cells killing the cancer cells, Johanna Joyce and Douglas Fearon of New York reported: “The co-existence in some patients of cancer cells and T cells that recognize them indicates that tumours may exhibit the phenomenon of immune privilege.” They reviewed the evidence that the tumour microenvironment was the key to mediating this restriction and overcoming the T cell checkpoint was necessary for optimal immunotherapy. Finally, Wendy Garrett of Harvard considered how human microbiota – the vast number of microbes that colonize our bodies – can either amplify or mitigate carcinogenesis, and also how they respond to cancer therapies. While the treatment of cancer is certainly no stranger to obstacles, it would appear that immunotherapy is finally delivering on its promise.